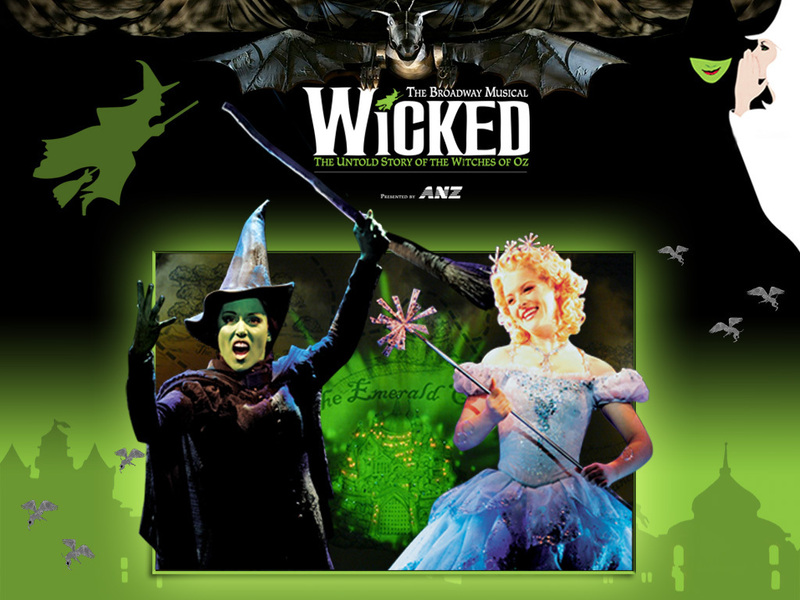 That night I got a call from my friend Stephanie Larsen and she told me that she and her husband's family were going to see Wicked the next night and someone had dropped out of their party...would I like to go? Peter and Stephanie picked me up and we were off to the theatre! For convenience sake, we parked in the convention center parking and walked a couple short blocks to the Paramount theatre. Peter's parents and sister met up with us there and I have to say what lovely people! Stephanie and I were able to convince them we had time to grab a coffee before heading into the theatre, and can I be allowed to say that Cafe Ladro's macchiatto blows the socks off Starbucks? We went into the theatre and sat down in our A-M-A-Z-I-N-G seats. As the show started and the opening scene came to a close, I knew I was sitting with the right people because they began their hooting and woo hooing along with the applause that early! Yes! The show was incredible. I was lucky enough to see it in LA, but I'm sorry, this Elphaba ran circles around the one I saw down there. Astounding. I'd kill for sustainment like that. And the Glinda (with a Ga...for those of you who have seen it) was hilarious and at the right times proved deep and raw as well. Great blend of the main actresses, I must say, and I haven't stopped singing the soundtrack since. Matt is sick to death of "Popular" and wishes I would return to my semi-normal way of speaking. After the show we headed to Gordon Biersch for some yumminess. Usually a beer and wine girl I followed Stephanie's lead and tried a pomegranate mojito...oh yum yum. And breaded and fried artichoke hearts? Helloooooo. Now COMPLETELY satisfied we headed back to the car...to find the garage closed. Then Stephanie remembers seeing something about closing after midnight. We traipse blocks around the convention center which is, by the by, gargantuan and I thank my lucky stars I wore decent pumps rather than the strappy stilettoes I was originally planning on. Eventually we find our way into the parking garage...and we estimate ourselves two miles from our parking spot. Ok, maybe it wasn' two miles but this garage is like the labyrinth of Minos. We did find our car and made it home, listening to the original soundtrack the whole way. I was so high on theatre (I get that way) that I didn't get to bed until 2 am...with an early morning looming in front of me. We had a hike planned for Sunday, and Matt wanted to get an early start and beat the crowds. ...to be continued when I get home and have access to my photos...let me just say that yesterday involved dog snot, bees, and lots of wind. haha, this is true. My memory distorts things for the sake of writing...bad habit!